Novak wins his third straight Grand Slam. 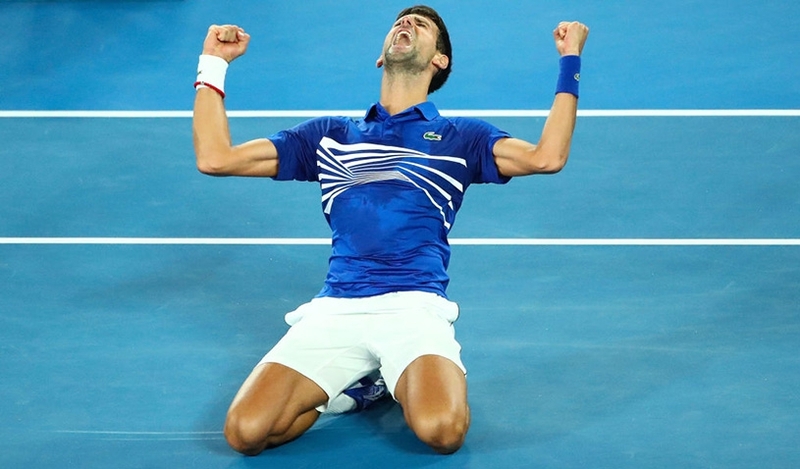 By winning the Australian Open in Melbourne on Sunday, Novak wrote new pages into the history of tennis. He has now won the tournament seven times, one more than any man in history and he now has fifteen Grand Slam titles to his name, putting him into sole third place in the all-time list. Once again, to see Novak wearing his Seiko Astron watch while holding the Australian Open trophy was a delight for Seiko and we are immensely honored to be his watch partner. We were also fortunate in being able to welcome Novak to a fan participation event before the tournament. 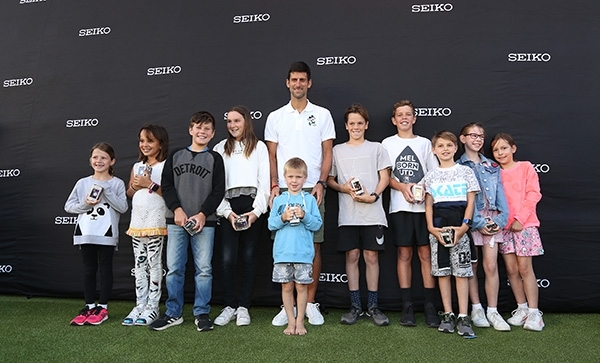 Novak presented prizes to the winners of a Virtual Reality competition in which tennis fans in Melbourne were able to play a “virtual” match against Novak. All in all, it has been a great fortnight for Novak, for Seiko and Astron GPS Solar. Thank you, Novak! Novak with participants of the event. Enjoying a “virtual” match with fans.